Tickets are now on sale for our big fun social event this year. 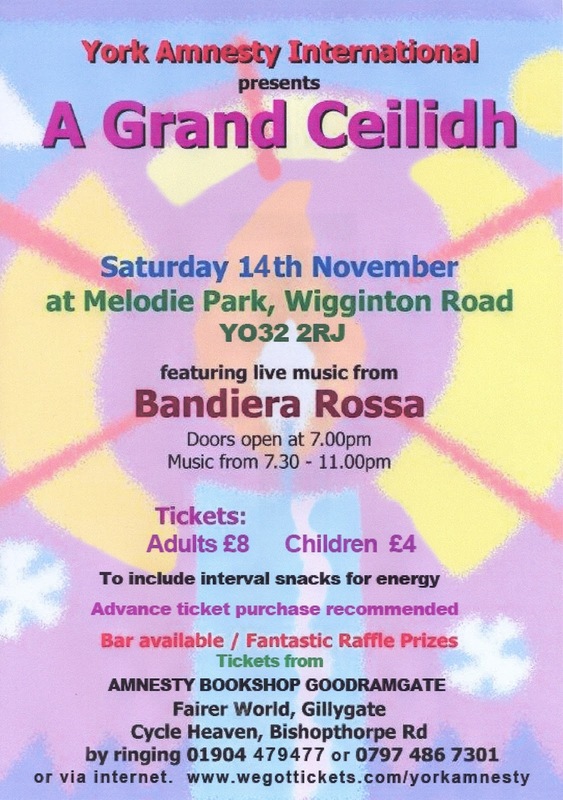 The Ceilidh will take place on Saturday 14th November at Melodie Park, Wiggington Road, York, YO32 2RJ. Doors open at 7 with music from 7.30-11. Admission prices are £8 for adults and £4 for children, including interval energy snacks. There will be a bar and great raffle prizes.